NEW OPTION to export an EXCEL REPORT with the list of elements and their materials data. Fixed issue with topography surfaces. Fixed issue with elements without materials. All categories with materials included for Selection. Added tooltips to help the user. Added option to change the size of the form from EXPANDED to COMPACT version, and viceversa. 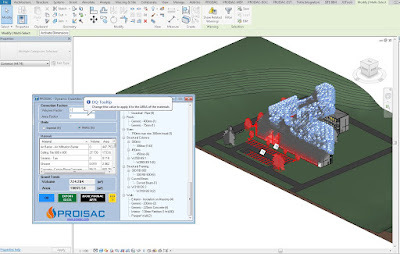 Dynamic Quantities is brought to you by PROISAC-BIM-VDC. It's priced at US $12.00.